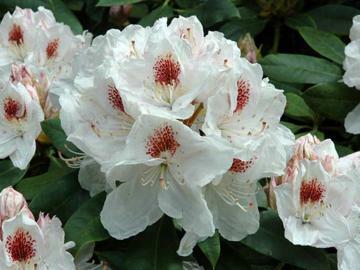 Hardy Hybrid, dense bushy habit. Trusses of white flowers with reddish-brown spots inside. Usually flowers in early June.